Training men and women for Christian services! 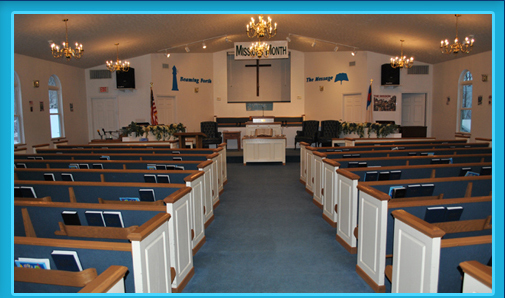 Mountaineer Baptist College was established in 1990. It began under the leadership of Dr. Bob Ream and the Hillview Baptist Church in Fairmont, West Virginia. During those early years the school began an aggressive ministry with an emphasis to teach the Bible to both resident students and correspondence students as well. In the fall of 2000 the school was relocated to Salem where it currently resides. As a ministry of the Lighthouse Baptist Church, Dr. John Freeman (President) heads a staff of some 15 professors with the assistance of Dr. George Heitman (Vice-President), who has been with the school almost since its inception. Each professor is experienced in their fields of study and provides a quality program for anyone desiring a Bible education. The college is non-accredited. Yet, provides the student with the goal of serving Christ in and through their local church. There are currently over one hundred graduates of Mountaineer Baptist College located over the United States and around the world. Our first and foremost purpose is to please God and bring honor and glory to His name. In order to do this we feel it necessary to train men and women for Christian service. Mountaineer Baptist College/Seminary is a Baptist school. We are a local church oriented. Outside the authority of the local church, there is no ministry. All resident students will be required to attend services at Lighthouse Baptist Church, unless they are members of a Bible-believing church in the area. For the sake of our Christian testimony, as well as yours, we insist that students abstain from alcohol, tobacco, and any non-medical drugs. Students will refrain from provocative movies, dances, and suggestive behavior. Young men: Look like men; no long hair (off the collar and ears), earrings or necklaces are permitted in class. Wear sport shirt and trousers (ties are not required, unless you are preaching). Please, no jeans or t-shirts. Young ladies: Look like ladies; dress modestly and comfortable; no pants or pantsuits. Hemlines should come to the bottom of the knees or longer. The school reserves the right to reject, discipline, expel or drop any student who fails to meet the requirements expressed and expected requirements of the school. Prospective students must submit a recent photo, a written testimony of salvation, and the completed application. If church membership is not in an independent Baptist church, a doctrinal statement from your church must be submitted for enrollment consideration. Textbooks and materials may be purchased by the student wherever they are obtainable or they may be purchased through the school. There is NO refund on books. All books must be prepaid when ordered. Some textbooks may not reflect the doctrinal position of Mountaineer Baptist College/Seminary. In such instances, a disclaimer will appear in the textbook. This institution reserves the right to claim all theses and dissertations submitted as property of the school. Each student submitting a signed request will receive a copy of his permanent record. The first transcript will be issued without cost. Additional copies, $4.00 each.